If you've ever wondered what it would be like to have dinner with Franz Kafka, Jane Austen or Raymond Chandler, this is your chance to find out. Literary ventriloquist Mark Crick presents seventeen recipes in the voices of famous writers, from Homer to Irvine Welsh. Guaranteed to delight lovers of food and books, these witty pastiches will keep you so entertained in the kitchen that you'll be sorry when your guests arrive. Mark Crick is a photographer. He lives in London. 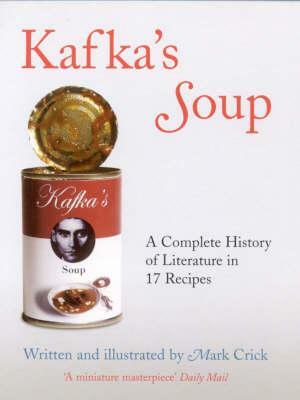 Kafka's Soup is his first book.